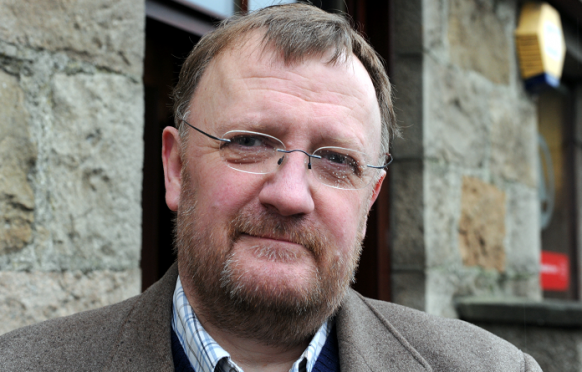 A councillor will be hauled before an ethics watchdog amid claims he failed to reveal shares in his own company in time. The councillors’ code of conduct declares that elected officials should declare when they have shares of more than 1% in a business. Standards chiefs allege Paul Johnston, Mid-Formartine ward, failed to register an interest in Enoteca 2016 Ltd within the correct time limit, despite being the sole director of the company and owning 100% of the shares. According to Companies House, Enoteca is registered to Mr Johnston’s Pitmedden Pub, The Craft. The Standards Commission for Scotland (SCS) will hold a hearing in Edinburgh on March 18 to consider the complaint. Mrs Tricia Stewart, chairwoman of the hearing panel, said: “The councillors’ code of conduct clearly states that councillors should register certain interests, both financial and otherwise. The case has been referred to the SCS by the Commissioner for Ethical Standards in Public Life in Scotland (ESC). The ESC, who carries out the investigation into complaints, will present the case against Mr Johnston at the hearing, before he is given a chance to respond. If it is determined that Mr Johnston breached the code, it will decide whether to impose a sanction of either censure, which means the breach is recorded, suspension or disqualification. Mr Johnston was unavailable for comment.